We discuss the Motorola TALKABOUT T-Series Two Way Radios and compare them with the old M-Series models. We also review the Motorola TALKABOUT T605 Two Way Radio. We talk about the Motorola TALKABOUT T-Series Two Way Radios. We explain the reasons for the complete makeover of the Talkabout line, find out which of the old models are still available, and tell you how to match your old Talkabout radios with the models in the current series. We review the Motorola TALKABOUT T605 Two Way Radio. The MD-9600 is finally here! This entry was posted in Two Way Radio Show Podcast on September 8, 2017 by Rick. We discuss a proposal by the FCC to completely reform the Part 95 rules for the FRS, GMRS, CB, and other personal radio services. We also review the Midland MXT115 MicroMobile GMRS Two Way Radio and give you an inside update on the status of the new TYT MD2017 dual band DMR two way radio. We tell you about a proposal by the FCC to completely reform the Part 95 rules for Personal Radio Services, including the FRS, GMRS, CB, and more. We'll tell you what those proposed changes are, when the FCC may rule on them, and speculate on how the new rules may affect the consumer two way radio market. We review the new Midland MXT115 MicroMobile GMRS 2-Way Radio. We give you a status update on the new TYT MD-2017 dual band DMR digital handheld two way radio. This entry was posted in Two Way Radio Show Podcast on May 10, 2017 by Rick. We tell you about a new dual band handheld digital two way radio from TYT and how you can win a free one! Listen to the show for details. We also review the Leixen LX-928 UHF Two Way Radio. We tell you about the new TYT MD-2017 dual band DMR digital handheld two way radio. We'll give you an overview of its features and specifications and tell you when we can expect it to arrive on the market. Win a new MD-2017 radio or Two Way Radio Show T-Shirt! Listen for details. We review the Leixen LX-928 UHF Two Way Radio. Questions from readers of our Two Way Radio Blog and members of the Two Way Radio Forum. Read Rick's GMRS Radio Range Chart! This entry was posted in Two Way Radio Show Podcast on March 24, 2017 by Rick. We talk with two officials from Icom. We also review the Icom CY-5000 and CY-6000 All-In-One Digital and Analog Repeaters. we talk with Ray Novak and Keith Chafin from Icom. They will tell us how the company started, talk about some of their current products and we'll ask about their plans for the future. We review the Icom CY-5000 and Icom CY-6000 All-In-One Digital and Analog Repeaters. We also provide an exclusive update on the status of the long awaited Tytera TYT MD-9600 DMR Digital Mobile Radio! This entry was posted in Two Way Radio Show Podcast on February 17, 2017 by Rick. We compare some popular small and lightweight radios commonly used by service industries. We also review the Kenwood ProTalk TK-3230DX Business Two Way Radio. We compare some popular makes and models of small and lightweight radios commonly used in hospitality, restaurant, retail and other service industries. We'll tell you where and how these radios are used, list the typical feature requirements of this product type, and compare some key features and specifications of each make and model. We review the Kenwood ProTalk TK-3230DX Business Two Way Radio. This entry was posted in Two Way Radio Show Podcast on January 31, 2017 by Rick. We tell you about three exciting new micro mobile GMRS radios coming soon from Midland. We also review the TYT TH-9800 Quad Band Mobile Two Way Radio. we tell you about three exciting new MXT Series micro mobile GMRS radios coming soon from Midland. We'll give you an overview of their features and specifications, tell you when they may be available and discuss their potential benefits to users of the General Mobile Radio Service. Models include the MXT105, MXT115, and MXT400. We review the TYT TH-9800 Quad Band Mobile Two Way Radio. © 2016 Cricket Ventures, LLC. All rights reserved. This entry was posted in Two Way Radio Show Podcast on December 2, 2016 by Rick. We tell you about a new digital two way radio from Vertex Standard. We also review the new XLT SM500 Speaker Microphone. we tell you about the new Vertex eVerge EVX-S24 Digital Portable Two Way Radio. We'll give you an overview of its features and specifications and compare it to other popular DMR radios on the market. We review the new XLT SM500 Speaker Microphone. We read comments submitted to our e-mail and Two Way Radio Blog about our discussion on DMR radios in episode 106. Listeners whose comments we read win a FREE Two Way Radio Show T-Shirt! We also respond to a question from our Two Way Radio Forum. This entry was posted in Two Way Radio Show Podcast on November 18, 2016 by Rick. TWRS-106 - Is DMR Becoming the Digital Radio Standard? We debate whether or not DMR is becoming the de facto digital standard. We also review the new Vertex Standard eVerge EVX-261 Digital Portable Two Way Radio. we debate whether or not DMR is becoming the de facto digital standard. We'll discuss the different types of digital standards available, compare the pros and cons of each, and contemplate the possibility one of them could overtake the others to become the primary standard in the marketplace. Do you think DMR is becoming the digital standard? 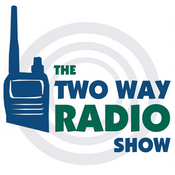 Send in your comments to show@buytwowayradios.com. If we read your comments on the next episode we'll send you a FREE Two Way Radio Show T-Shirt! We review the Vertex Standard eVerge EVX-261 Digital Portable Two Way Radio. This entry was posted in Two Way Radio Show Podcast on August 12, 2016 by Rick.